First, let’s talk about the sheep. The first thing we think when we hear the word “sheep” is that they’re dumb! However, I have found this to be quite the contrary. The first thing that struck me in my studies is that sheep are dependant. They have to depend on the shepherd to protect and guide them to where food and water is. They learn very early on, the voice of the shepherd, and store it in memory as a voice matched with safety and provision. Sheep also have excellent hearing and vision which is greatly needed since they are classified as prey and are technically defenseless. 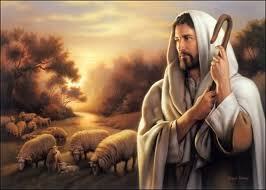 Christ is called “The Good Shepherd” and says that his sheep know his voice (~John 10:11, 27). In order to know the shepherd, you have to not only be looking for him, but listening for him as well. Sheep have excellent hearing and vision not so they can wonder off, but so they can hear and see the shepherd and therefore follow him. As Christians, we should make it a priority early in our walk to know the voice of God. In my ministry, I have come across so many leaders who have been in ministry half of my life (and I’m 31), and yet ask me; “How do you here God’s voice?” In Psalms 46:10, the Lord stated; “Be still and know that I AM God!” Even Elijah, when he went into the wilderness at Mount Horeb, realized that God was not in the whirlwind, nor an earthquake, or the fire, but in a still, small voice (I Kings 19:11-12). Well in order to hear God’s still small voice, you’ve got to have good (spiritual) hearing and you have to be looking for him. Some other characteristics of sheep is that they are peaceful and social creatures. They tend to graze in sets of four or five, and will actually become agitated if they are separated from the flock. They will ban tightly together whenever a predator is near. This is done to possibly confuse the predator by it not being able to single one out. And if a sheep’s surrounding is disturbed, or if they sense that danger is near, it’s their instinct to move uphill, especially if it is a well-lit area. All throughout the bible we see relationships; this is because YHWH-God is about relationship. However, the funny thing with us “Christians” is that the majority of us are either trying to fix everything by ourselves (because we don’t want nobody in our business…including God), or we’re associating ourselves with people that we have no business being with. And when I say relationship or association, I’m covering all grounds; friends, partners, church-buddies, homeboys/girls, associates, boy/girlfriends, and your family members! So who or what is the right relationship? Well, let’s look at what Jesus said. So if the way of the sheep will lead us to the Good Shepherd, and with Him, we won’t want of any good thing (Psalms 23:1); I would say that sheep are smarter than what they get credit for. What do you think? So did you hear that the rapture is supposed to take place on May 21, 2011? There's a group of people predicting “The end of the world" on this day. On top of that, there is an earthquake prediction for Rome today, from a self proclaimed seismologist (Raffaele Bendandi) who has been dead for 30 years! Ok, maybe I'm making light of some of these things, but apparently Rome is not, and thus many people are taking off on this particular day, including the closing of some schools. Now saints, once again, the word of God says; "However, no one knows the day or the hour when these things will happen, not even the angels in heaven or the Son himself. Only the Father knows" (Matthew 24:36 NLT). But as I have said many times before, the word says we should know the season. I enjoy deep biblical studies on prophecy and the end times. And the Lord has revealed many revelations to me through his Holy Spirit. This is something I know is not prominent in the churches today. In fact, most churches are not prepping the people for the return of the Lord. They’re too wrapped up in head count, church functions, building funds, offering plates and “Not Offending” the people. Therefore many Christians today are like the five foolish virgins mentioned in Matthew 25:1-13; not having enough oil in their lamps. In my personal research of the scriptures (modern and Hebraic) and through my upbringing, I have learned that YHWH-God is a great mathematician. If you pay close attention to the bible, you wil find that numbers are very important to him and are completed in everything he does. In my studies, I have found that the number 11 means; Judgment/Disorder. If ten is the number which marks the perfection of Divine order, then eleven is an addition to it, subversive of and undoing that order. If twelve is the number which marks the perfection of Divine government, then eleven falls short of it. So that whether we regard it as being 10 + 1, or 12 - 1, it is the number which marks, disorder, disorganization, imperfection, and disintegration. Apparently, some of the worst disasters, manmade and natural have happened revolving around the number 11. I’ll list a few that have happened just in the last decade. Even in systems such as Astrology and basic Numerology, eleven is considered to be a master number that represents sin, transgression and peril. On January 1, 2011, I went before the Lord (as I do every New Year) and asked him to show me in the scripture what would take place this year. The Lord gave me Jeremiah 11. In this scripture, judgment is brought upon Judah and Jerusalem for breaking God’s covenant. God promises that disasters will be brought upon the people, and their idols would not be able to save them. Only a week or so later, my mother (Annette Bridges) had an open vision of two kinds of whirlwinds. The Lord spoke to her and said that one represented tornados and the other represented hurricanes. He then proceeded with telling her that 2011 will be one of the worst years on record for every kind of disaster. So far, five months into 2011, several records for natural disasters have been broken; from earthquakes to flooding. From tornados and snow storms, to massive animal dye-offs. Even things like the national debt and gas prices have reached all-time highs. And let’s not forget about the continuous unrest and historic rioting taking place all over the Middle East. 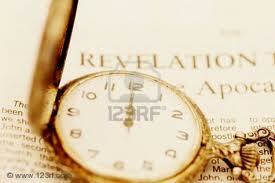 Paul stated in 2 Timothy 3:1 that; "In the last days, perilous times will come". Well saints, We Are Here! The birth pangs are increasing and becoming more intense all around us. We must keep our robes washed and our sins under the blood. It is extremely important that we allow ourselves to be used as vessels of the Lord, in spreading the Gospel to the lost. Unfortunately, we live in the age of the Church of Laodicea, mentioned in Revelation 3:14-22; an age where Christians are blinded by religious routines and doctrines, instead of living and leading a life of forgiveness, deliverance, healing and discipleship. Therefore, many Christians will either go to hell or miss out on the rapture for simply doing nothing. Saints, in this final hour before Christ calls his bride home, let’s make sure we are sold-out for Lord and truly following the example Jesus displayed for us. Jesus came down from heaven and led a humble life. He taught, he served, he forgave, and he helped. He healed, he believed, he endured and he LOVED. 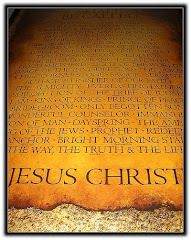 The greatest words you can ever here is; “Well done thy good and faithful servant…” Make sure you’re on that list. I pray this fed your spirit.